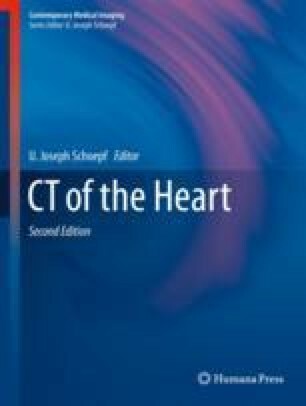 Computed tomography images of the heart can be used clinically for assessment of pericardial and myocardial diseases. Delineation of a normal pericardium and characterization of simple and complex pericardial collections can be performed with cardiac-gated CT. Several abnormalities of the myocardium can also be assessed with cardiac CT, particularly regarding cardiac morphology and perfusion, but also functional abnormalities. More commonly, myocardial diseases are identified as incidental findings on a chest CT for other clinical purposes and can aid to clinical management and risk stratification.